FuzzyClock displays the time in your menubar — clean, simple, and human readable. The App is compatible with macOS Sierra, High Sierra, and Mojave. Supported languages are English, German, Hungarian, Spanish, and Swedish. FuzzyClock is published under a BSD-style license. The App is rewritten in Swift, fully sandboxed, and notarized. ClockSaver is a port of the screensaver module “KClock” of the KDE Desktop Environment to macOS. It displays a very simple and elegant analog clock. You can customize the appearance by selecting colors for the clock hands and the scale, switching visibility of the second hand and selecting a size for displayed clock. 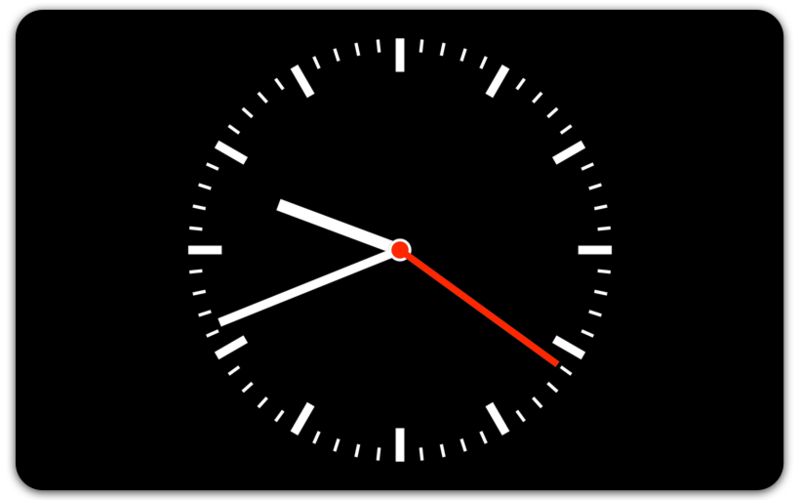 ClockSaver is compatible with macOS Yosemite or later. Because of its origins in the KDE-Project ClockSaver is published under the GNU GPLv2 license. aMAZEingSaver is an macOS port of the module “maze” contained in the screensaver collection xlockmore. The module was originally developed by Sun Microsystems in the mid-80s for their UNIX workstations. aMAZEingSaver generates randomized — but solvable — mazes and tries to find a way from the start to the end point of each maze using a depth-first search algorithm. The solving process is animated on screen, highlighting the current solution path in white. Paths already identified as leading to dead ends are shown in a gray color. aMAZEingSaver is compatible with macOS Yosemite or later. aMAZEingSaver is published under a BSD-style license.